Our most recent class of 26 1L Stein Scholars are already hard at work at their summer internships after a busy first year. Please join us in congratulating them on completing their first year at Fordham. You can meet 17 of them here. Sapana Anand has spent many years studying gender theory and policy. Before entering law school, she worked for several nonprofit organizations and government agencies, and received a graduate degree. She is excited to continue her studies and use the law to advocate for gender equality. During her time in Arizona, Morganne Barrett assisted asylum-seekers held in U.S. Immigration and Customs Enforcement detention with their legal claims, an experience that alarmed her to the gross human rights violations occurring around the globe and ultimately brought her to law school. 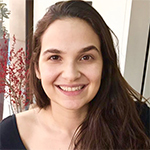 She hopes to pursue public international law, push for accountability of human rights violations against women, children, and migrants, and encourage sustainable development in post-conflict situations abroad. Daria Brosius attended Grinnell College, where she honed her passion for social justice and her drive to make lasting change. 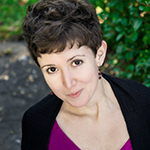 Daria’s work has focused on enforced disappearances in Argentina and Mexico and the full spectrum of immigration law. She seeks innovative solutions to complex human rights challenges. 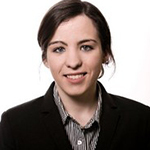 Daria hopes to pursue a career blending movement lawyering and impact litigation. 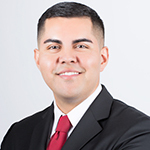 Juan Carrillo is a U.S. Navy veteran, reservist, first-generation college graduate, and native Californian with a passion for public interest and national security. Before law school, he instructed and assisted K-12 public school students as a substitute teacher and health technician. His goal is to return to the Navy and serve as a Judge Advocate General to support the brave women and men who defend the United States. After graduating from Barnard College in 2012, Lura Chamberlain has worn many hats as a corporate paralegal, an executive assistant, and most recently a paralegal casehandler in The Legal Aid Society’s Health Law Unit. A passionate advocate for health care and social justice for all, she is eager to continue championing the rights of low-income New Yorkers throughout law school and beyond. 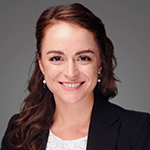 After dedicating years to advocating for the rights of children both internationally and domestically, and completing her time as a high school science teacher through Teach for America, Emma-Lee Clinger has come to law school in hopes of providing direct-client services in the areas of juvenile rights or family law and eventually doing impact litigation for education reform. 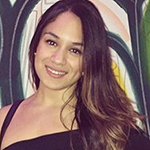 Mary Diaz is a 2014 Wesleyan University graduate where she majored in government. Since then, she worked as a paralegal for the United States Attorney’s Office in the Southern District of New York for three years and developed an interest in securities fraud prosecution and fell in love with litigation. Prior to that, she was a political intern for Quinn for New York and a pro bono intern at Skadden, Arps, Slate, Meagher & Flom. Mary is passionate about public service and about making change through law and politics. 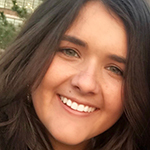 Megan Keating worked with incarcerated people throughout her undergraduate years and continued volunteering by tutoring formerly incarcerated people while working for a large law firm for two years prior to law school. This summer Megan is working with the Legal Aid Society’s Prisoner’s Rights Project. 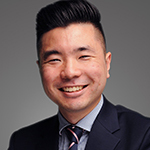 Andrew Kim‘s decision to attend law school stemmed from his frustrations as an educator and seeing his students struggle outside of the classroom due to the systemic challenges low-income communities face. At Fordham, Andrew greatly enjoyed criminal law and decided to intern at the Queens DA’s Office to learn more about how the criminal courts affect the communities he eventually hopes to serve. 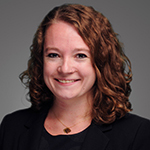 Prior to law school, Emily Morrow worked in the market research industry and as a paralegal supporting the banking and financial regulation practice at a firm in New York. 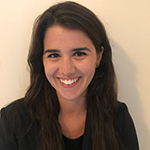 She is interested in civil rights litigation as well as housing and labor policy, and she is a board member of Fordham’s Housing Advocacy Project. During the summer after her first year, she is interning for a federal judge in the U.S. District Court for the Southern District of New York. 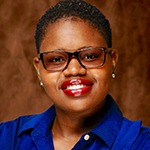 Yazmine Nichols is a Brooklyn-born, New York native who is committed to community service and to making the law accessible to those who have been historically disadvantaged by the legal system. She received her M.A. from Union Theological Seminary in 2017 with an interdisciplinary concentration in social ethics and theology. Her advocacy and research focus on the relationship between law, theo-ethics, and criminalization. 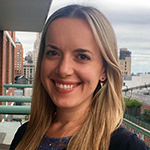 Drawn to Fordham because of the Stein Scholars program, Gabriella Romanos is president of the American Constitution Society, a board member of Advocates for Sexual Health and Reproductive Rights, and a student fellow at the Urban Law Center. Before law school, she worked as a researcher and policy analyst at the United Nations Human Settlements Program in Lebanon and as a litigation paralegal. Gabriella is very excited to be spending the summer at the ACLU of New Jersey. She graduated from Barnard College in 2013, having majored in urban studies and sociology. 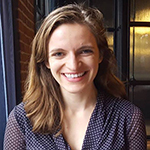 For two years before law school, Rebecca Rubin worked as an Americorps legal advocate on a Medical Legal Partnership, helping connect particularly traumatized and vulnerable patients to legal services they otherwise would not receive. In that role, Rebecca interviewed clients, drafted affidavits and immigration filings, and led know-your-rights trainings. This summer, Rebecca is interning in the Department of Justice – Executive Office for Immigration Review. After graduating from Wesleyan University in 2012, Sarah Stein moved to Buenos Aires, Argentina, for two years. She returned to New York in 2014 and worked as a paralegal at the U.S. Attorney’s Office for the Southern District of New York until starting at Fordham. This summer she is working at the Manhattan District Attorney’s Office. Nora Stewart worked in New York City theater after graduating from Yale in 2013. Inspired to change course by the challenges of the present American political climate, she came to law school to focus on public interest defense work. She plans to be an advocate for women and is proud to be interning with the Neighborhood Defender Service Family Defense Practice this summer. 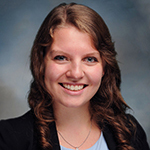 Maura Tracy spent the year after graduating from college as a member of the Jesuit Volunteer Corps in Houston, Texas. In her year of service, Maura worked as a paralegal at Catholic Charities in their Immigration Legal Services program. This experience sparked Maura’s passion for immigration advocacy and led her to continue working as a paralegal at Catholic Charities in New York before starting law school. 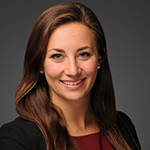 Vanessa Vecchiarello worked as a litigation paralegal for two years prior to attending law school. She serves on the board of Advocates for Sexual Health and Rights and is spending the summer interning at ACLU-NJ. She intends on using her legal education to advocate for reproductive rights.